Sort passport and visa – tick. Book flight to New Zealand – tick. Now all you need to decide is where to go, what to see and how to get there. This can seem like quite a daunting task, planning an adventure in an unfamiliar country with strange place names like Whakatane and Uretiti, where do you start? We’ve made it easy for you and put together a travel checklist to help. It’s packed with advice on how to plan your travel, which route to take and how to score some cheap deals! First things first let’s go right ahead and tick off ‘how’ to travel New Zealand. The best way to see NZ is by bus – it’s cheap, flexible and good for the planet, not to mention a great way to meet likeminded explorers. Take a look at this blog if you need more convincing about why bus is best. Travel New Zealand by bus – tick. To get the most bang for your buck, buy a bus pass. It’s that simple. 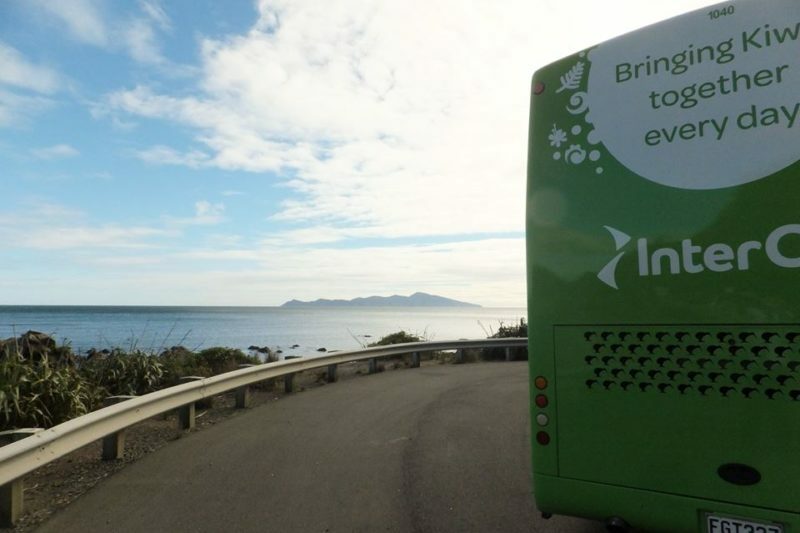 Not only will you save money in the long run, some bus passes also include fun day tours and the Interislander ferry – how cool is that? Now for the hard part – choosing a bus pass. It pays to do some research to work out which bus pass will suit you the most. The FlexiPass or the TravelPass? The FlexiPass is an hours-based pass which gives you complete control and flexibility over your own itinerary. 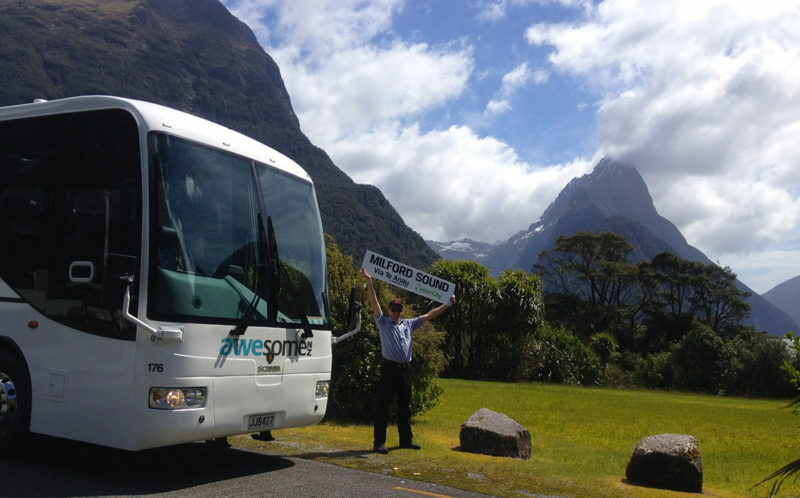 Whereas the TravelPass is a range of pre-planned itineraries based on New Zealand’s most popular routes. You can compare NZ bus passes and see their features and benefits here. If these bus passes aren’t the right fit, get a backpacker discount card to use on selected InterCity services. Or if you’re the super organised type and you’re booking travel far in advance, try your luck at scoring $1 bus fares. Choose bus pass – tick. It’s really easy to plan where you want to go and estimate the number of hours you think you’ll need with InterCity’s example itineraries. They show the most popular touring routes with approximate hours while their network map shows major bus stops, cool sightseeing tour options and approximate travel times. You can also use these resources to plan individual journeys if you’re using the backpacker discount card or on the hunt for $1 fares. Tick that job off your travel checklist – too easy! Plan route and estimate hours – tick. The great thing about both the FlexiPass and the TravelPass is how easy it is to manage your travel online. Once you’ve bought your pass simply login and start booking – it’s that easy. If you need a little help along the way there are handy guides to help you through the booking process. Buy bus pass and book travel – tick. The stunning view from an InterCity bus. We all wish we could stick to a plan, tick all the boxes in a travel checklist and go on our merry way. But life’s never that easy and no matter how prepared we are, things always seem to come up! InterCity lets you change any booking up to 2 hours before departure (for a small fee) while any changes made to a FlexiPass or TravelPass booking can be made without a fee. If you find you’ve bought too many hours or you haven’t used all of your TravelPass legs you can resell or gift them to someone else. On most InterCity services you can take 2 checked-in bags weighing up to 25kg each plus carry-on luggage for free (on selected service bags weighing up to 20kgs only). Just make sure they measure less than 158cm in total. You can take larger items but it pays to read their oversize luggage policy here. Lastly, make sure you pack for New Zealand’s climate. Although it’s a small country the weather can differ drastically between the islands. With a variety of activities on offer you’ll want to be prepared for anything! Take a look at this blog for some great packing advice.